I've often wondered what life must be liked for those who have multiple children of the same age but whenever I did - I imagined twins or triplets, children who are all exactly the same age. And I have to admit, I always quite fancied the idea of that - although the knowledge of how dangerous the pregnancy and birth can be with multiples was off putting, I did always think that the practical aspects of having two or more at once would be appealing. I never had twins, but I ended up with the closest thing - Irish Twins! I first heard this phrase when I was pregnant with Sailor, and - in case you're not familiar with it - it refers to siblings who are born less than a year apart but are not actually twins. Up until Sailor's 1st birthday though, when ages are counted in number of months, it didn't really strike me as having two children of the same age - but for 6 weeks out of every year, that's what will happen. Our youngest son Sailor celebrated his first birthday on February 12th, and our middle child Noah didn't turn 2 until the last day of March - so for 6 weeks out of every year they will be technically the same age! This year is probably the last one that the age gap will still seem bigger than it really is, because so much happens when a child turns 1 - they go from a wobbly legged, mostly non-verbal little tiny thing who still needs to be carried around most of the time at 12 months old to a proper little boy who is running around at lightning speed, talking the hind legs off of donkeys and always fighting you for his independence at 23 months old. So although they were both 1 at once...they still seemed poles apart in height, size, and developmentally. I'm sure that from next year on, when we have two 2 year olds, two 3 year olds (god help me! ), two 4 year olds for those 6 weeks - the age gap will seem even smaller. 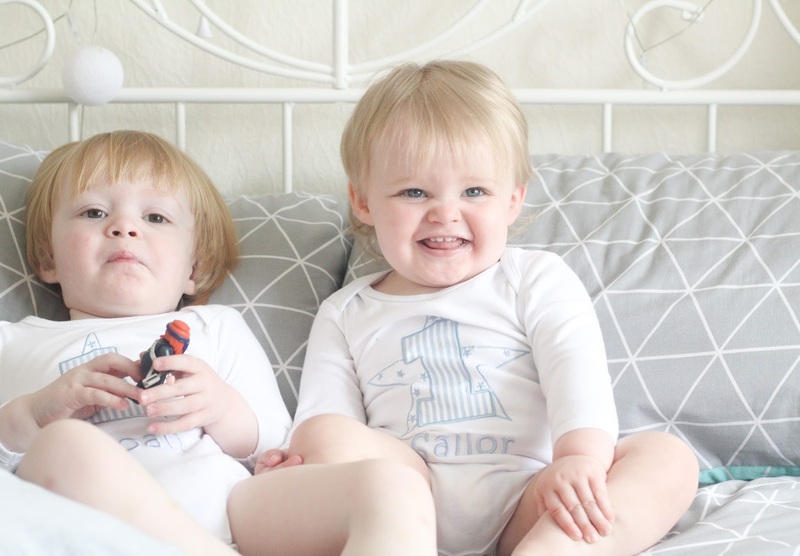 I wrote a post when Sailor was 6 months old about all of the things that we found most challenging about having "irish twins" and so, now that they're both older, I thought I'd re-visit this and do an updated version. 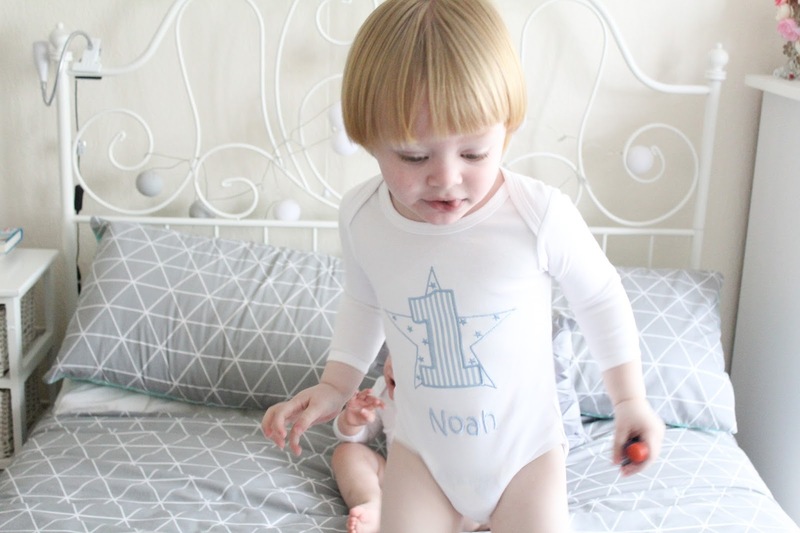 So...what's been so difficult about having two 1 year olds in the house?! Those of you who have had a 1 year old child at any point will understand what I mean when I say that they are EVERYWHERE - they can climb up on things and behind things that you didn't think they could, they can leave a room and vanish completely from sight within milliseconds, they can scale a staircase if the baby gate is left open for half a second, and they can ALWAYS find some sort of mischief to be getting in to the very moment that your back is turned. So when you times that by two....let's just say....it's a LOT of responsibility trying to keep two 1 year olds alive and unharmed at once!! I remember how determined I was to avoid buying a double pushchair when I was having my second child - I HATE double buggies and was adamant that I wouldn't need one as my eldest son had just turned 2 and was happy to walk when we were out and about. When I realised we were having a 3rd baby so soon, I was so gutted at the thought of having to finally give in and get that double pushchair after all - and I wasn't wrong about them. Double prams - no matter how hard they try to make them slick and stylish - are clunky, and awkward and a gigantic pain in the arse! They get in everybodys way, and they're either awkward to get kids in and out of OR they're awkward to get through doorways and neither of those options is ideal. I CANNOT WAIT to finally go back to a single pram!! Seriously, if you are having Irish twins then you really should try your hardest to accept the fact that for the first year or two you just will not be sleeping. 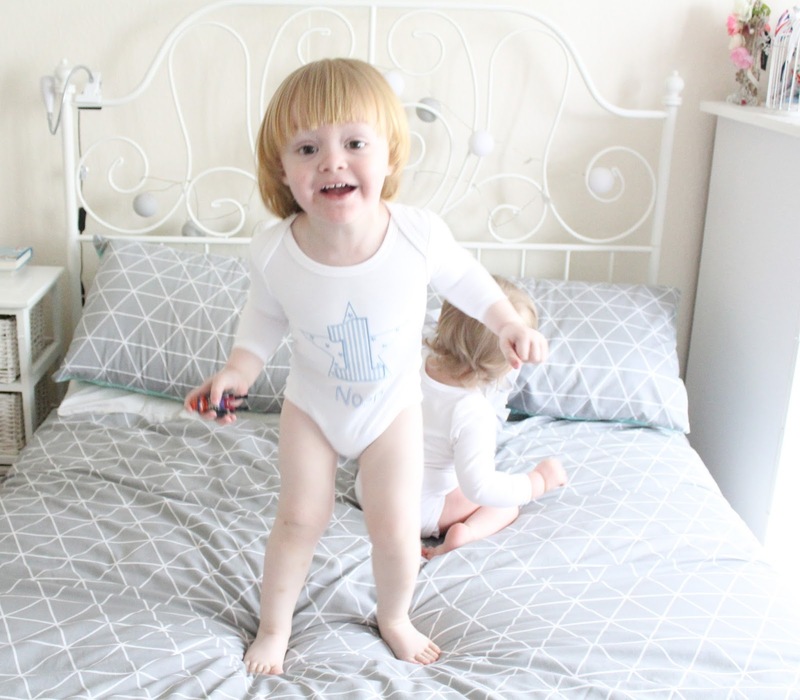 One baby can be difficult enough when it comes to establishing routines, but when there are two of them then you can pretty much guarantee that every time one wakes up - the other will be woken up too. And trying to get either of them back to sleep while the other is crying is pretty much a nightmare and never going to happen. And don't even get me STARTED on when they're both teething at once....I am desperately trying to block those memories from my mind! 4) Two Children Who Want Everything But Don't Understand Sharing = Disaster! The two of them currently spend their days snatching basically everything each other has away...neither of them is anywhere close to understanding how to share, but they both have to have everything they lay their eyes on. They steal the dummies from each others mouths, the toys each other is playing with, the snacks each other is eating - it's never ending! All in all, I take my hat off to parents of actual twins! 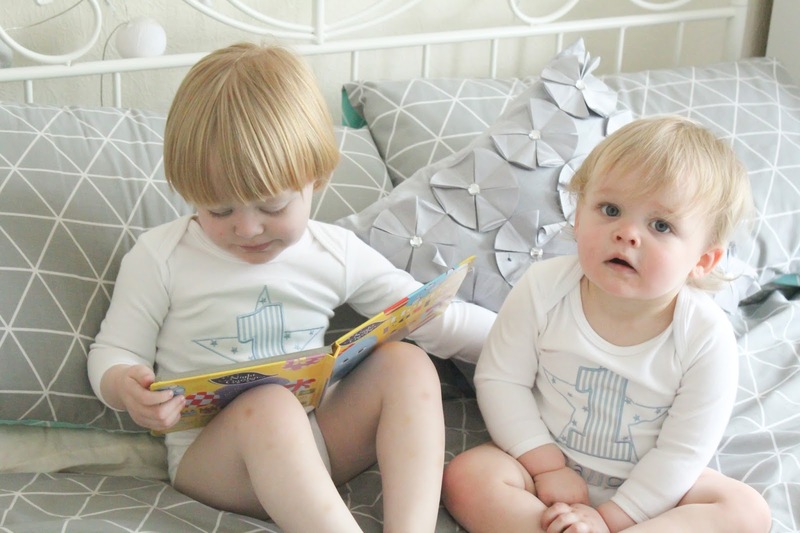 5) Double The 1 Year Olds = Double The Stuff! Double the snacks to keep hangry babies happy when out and about. 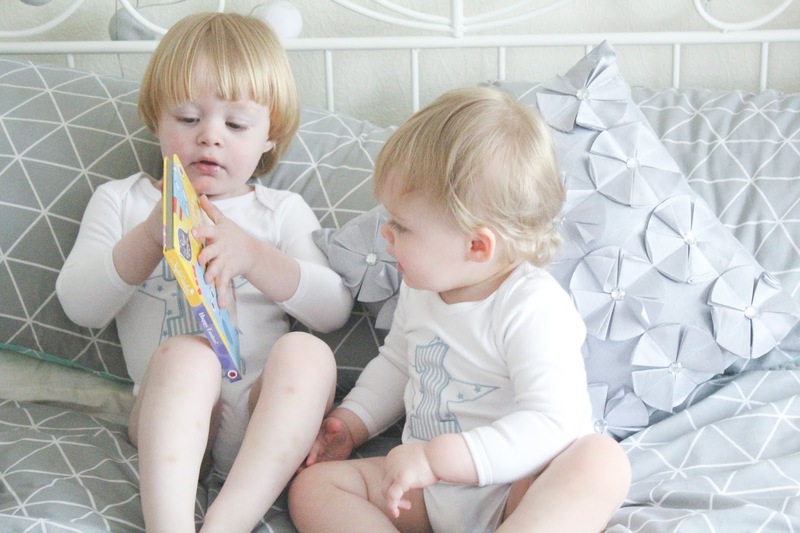 Double the nappies & double the money spent on them and the associated baby wipes, etc. Double the cots - I never realised how small our house until I needed to find space for two full sized cots in at once!! But of course it's not all hard work, and one of my favourite parts about having two 1 year olds at home is that MOST of the time at least one of them will be in that lovely playful, affectionate mood that's pretty much reserved especially for babies - and so no matter how crazy the other kids are driving you, there's always a baby to snuggle with - and when are baby snuggles not exactly what you need?! If you are expecting irish twins, then try not to worry too much about the Hows and What Ifs - the fact is that yes, things become a lot more challenging when you have two 1 year olds around at once...things that you completely took for granted when you only had 1 one year old will suddenly seem completely out of reach to you when there are two, and your friends who only have singular kids of one age at a time won't really be able to relate to your struggles...a lot of them are pretty exclusive to having irish twins! But you'll find your own way...you'll come up with approaches to things that work for you, you'll start to invent your own solutions to problems and..well..you'll just make it work! 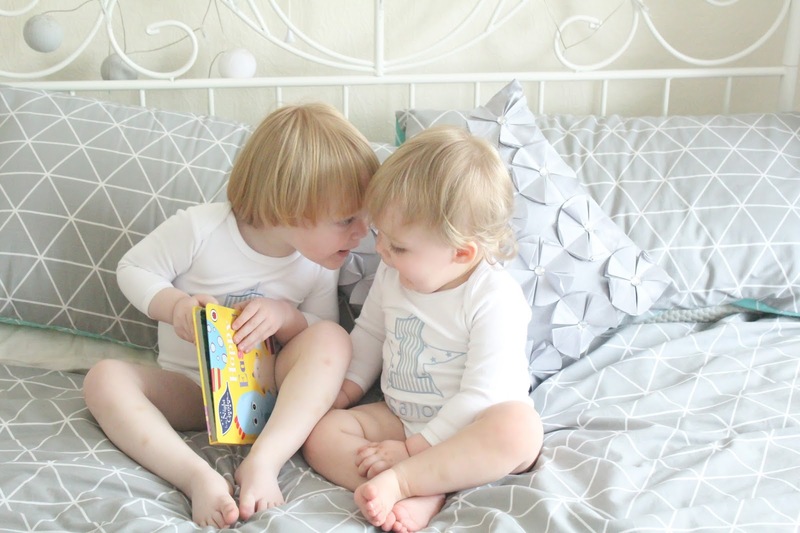 And for every difficult moment, there'll be another moment that makes it all completely worthwhile...I didn't plan to have my children this close together, but I honestly wouldn't change it for the world...even when they're teething together! I honestly don't know how you get any sleep with three. Having one who is a pretty good sleeper is bad enough! How adorable are they both? 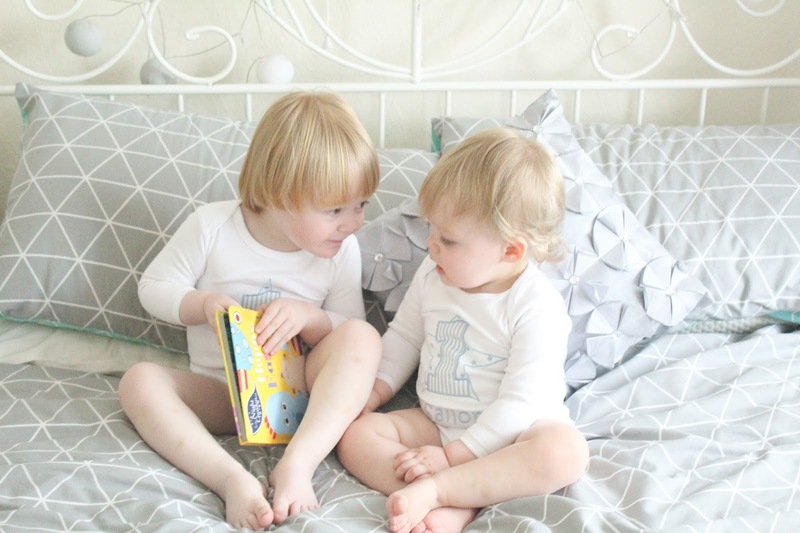 It will be lovely when they're older as they can socialise and have a lot in common given the closeness in age, also sharing clothes too haha! For 1 day a year, my youngest girls will be the same age. It's strange thinking that in 2 weeks time I will have 2 one year olds! I have a double pram and I wouldn't be without it!